maybe the possibility to choose between this options for the user? Yes, definitely. Although data representation is not as straightforward as you might imagine What sort of monitoring item would you prefer? Is it possible to dynamically switch units (with settings the threshold) ? The modular monitoring system ? Load only the required modules ? Alphacool LC-Display software had such a system. I also use True Launch Bar - http://www.truelaunchbar.com/ - also modular monitoring system. 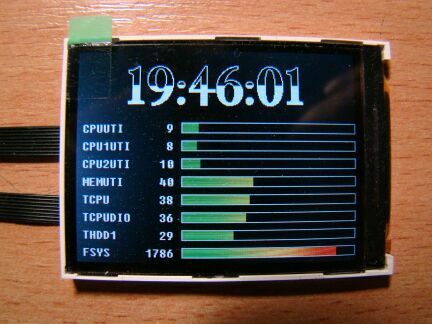 I want (if possible) also WiFi signal strength sensor in SensorPanel. Now i use one from True Launch Bar. It is modular already of course, but the more modules and more items we put in, the slower it gets afterall. The performance hit is not huge, but we're trying to minimize the number of items to make sure it stays swift. In the next AIDA64 beta we'll try to come up with a solution that would be suitable for most users. BTW, dynamic measurement units are not supported by AIDA64, so that's not an option I'm afraid. We've implemented the new hardware monitoring items to let you monitor drive space status. It works. But not quite. Even if I choose to drive utilisation in %, the AIDA continues to be measured in GB instead of %. It's too discrete and uncomfortable, especially on small partitions. And of course, we need to measure in MB. I use a RAM-drive and measure it in GB uncomfortable. We've cheched the drive utilization, and it shows the percentage of used space as expected. Can you please check it again? We'll think about the MegaBytes issue, and try to come up with something that is "best of both worlds" (where both = MB and GB). We've cheched the drive utilization, and it shows the percentage of used space as expected. Can you please check it again?GB). I can't newer seen another %. It's clear now, thank you. We'll fix that in the next AIDA64 beta release. Drive utilization is now working fine. Only MB \ GB issue remained to be resolved. Is it possible to use a transparent color as bar color and bar background color ? I have some ideas for a new theme and I need these functions. MB/GB issue has been resolved by implementing decimal points for drive space readings. On a small partition (RAM-disk / with two characters after the decimal point), everything works fine - and utilisation in % and free space in GB. The sensor is updated very quickly. But for large partitions (SSD/HDD / with one decimal and no decimal places) the information is not updated for all types of sensors. Only restart AIDA64 update these sensors. I'm not sure what do you mean by "the information is not updated for all types of sensors"... Can you please explain more detailed? What happens exactly? So you mean those sensors are automatically updated for small drives, but not automatically updated for large drives? 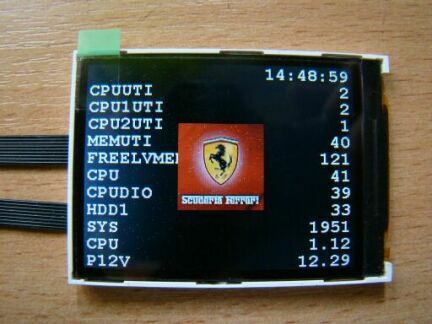 For 3D-programs in full screen (games, tests, etc) I use external self-made LCD, which connected to PC via USB. PC "see" him as a simple serial port (not VGA-monitor). Question : can AIDA64 transfer an image of SP into a shared memory ? Then i take it from this memory and transmit further, to the my LCD.